For the love of the foliage! 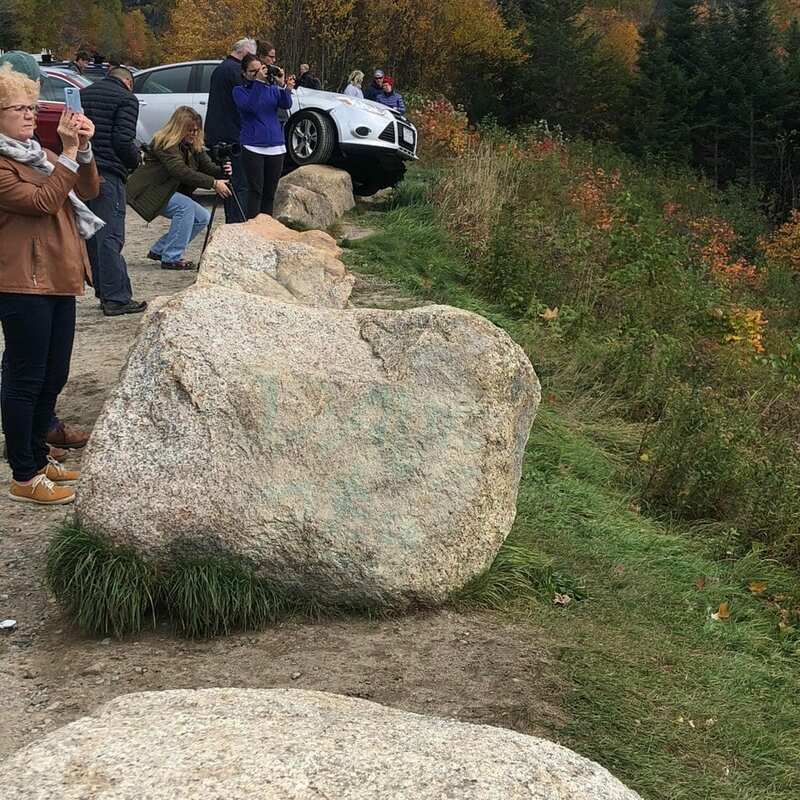 These tourists know no bounds when it comes to getting as close as they can to the beautiful browns, reds, and yellows of the changing leaves…and the gray of the boulder they just ran over. Well not quite over it, but definitely on top of it. Hey, if it gets you a better picture of the foliage you do it. According to multiple sources (Reddit commenters), this spot is along the Kancamagus, by the Hancock and Pemi Loop overlooks. Other than escaping death, in what situation do you get out of the car and leave it like that? This isn’t like making sure you’re parked in between the white lines at the grocery store. You’re on a rock dude. Maybe put it in reverse and park it once you’re on all four wheels.